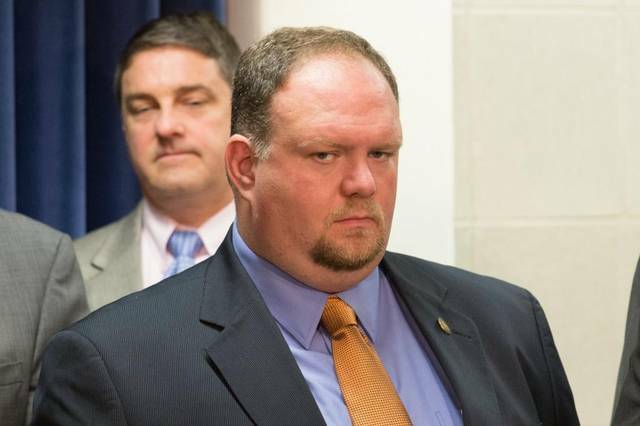 Did Sen. Ralph Hise Pocket $10,000 of Campaign Money? A voting rights group today is calling on State Sen. Ralph Hise, chair of the Senate Select Committee on Elections, to recuse himself from any further involvement with restructuring the State Board of Elections because he faces charges of violating campaign disclosure laws and illegally pocketing more than $10,000 from his campaign account. “Because Sen. Hise has such a strong personal stake in who sits on the State Board of Elections, he needs to step aside from decisions about its make-up and duties,” said Bob Hall of Democracy North Carolina. The Republican-controlled General Assembly and Democratic Gov. Roy Cooper are currently embroiled in a controversy over revamping the State Board and giving appointees from each major political party the ability to veto its decisions. “If the General Assembly had its way, charges against Hise or any legislator could be blocked,” Hall said. He pointed out that a Democratic lawmaker, Rep. Thomas Wright from Wilmington, went to prison in 2008 after the State Board found he illegally paid himself over $75,000 from his campaign account and failed to report receiving PAC donations. Similar charges against Sen. Hise (R-Mitchell County) are now before the State Board, stemming from two complaints filed in March 2017 by Greg Flynn, an independent government watchdog in Raleigh. Democracy North Carolina is calling on State Sen. Ralph Hise, chair of the Senate Select Committee on Elections, to recuse himself from any further involvement with restructuring the State Board of Elections because he faces charges of violating campaign disclosure laws and illegally pocketing more than $10,000 from his campaign account. The complaints allege that Hise (1) illegally paid himself $10,326 from his campaign; (2) failed to report receiving $9,250 from PACs; and (3) failed to provide required information about his donors and expenditures on his campaign reports. After being notified of the complaints, Sen. Hise, who is a statistician, asked the State Board to give him 45 days – until May 4 – to respond to the charges. But as of Monday, May 8, he had not responded. Hall said Hise’s campaign reports clearly violate North Carolina’s laws requiring disclosure of basic information about each donor who contributes over $50 during an election cycle. “Based on our review of hundreds of reports, Sen. Ralph Hise has the worst campaign disclosure reports of any current legislator,” he noted. He said Hise’s reports for the 2016 election cycle leave out occupational information for all 131 of his $50-plus donors, even for such well-known donors as Jim Goodnight of SAS, who gave Hise a total of $9,000. The reports don’t even give addresses for six of his larger donors, Hall said, and they fail to provide addresses for dozens of the PAC donors and the recipients of Hise’s campaign expenditures. According to Democracy NC’s review of campaign reports, Rep. Jason Saine (R-Lincoln Co.) had the second worst disclosure failure rate. He raised $100,035 from 98 individuals who each gave more than $50 in the 2016 election, and he left out the occupational information for 73 of those 98 donors. The complaints filed by Greg Flynn highlight more than 50 transactions of loan payments and repayments listed on Hise’s campaign reports from August 2009 to December 2016. Flynn calculated that Hise reported loaning his campaign a total of $50,694.37 but he took back $61,020.98 as loan repayments, for an excess of $10,326.61 in overpayments. Flynn also identified nine political action committees or PACs that reported contributing a total of $9,250 to the Hise campaign from August 2012 to September 2016, but Flynn could not find those donations recorded on Hise’s disclosure reports. Sen. Hise’s mother, Shirley A. Hise, is listed as the treasurer for the campaign committee. Records at the State Board of Elections indicate the committee paid a $50 fine in March 2015 and $100 fine in December 2014 for filing reports past their deadlines. Hall noted that the State Board has not reviewed the contents of Hise’s campaign reports for several years because it lacks funding to enter data and audit reports.